Indie music has been on an interesting journey of late. Abandoning the perfunctory pop-rock of the Arctic Monkeys’ ‘I Bet You Look Good On The Dancefloor’-era, Expatriate are riding the new wave of powerful songwriting, favouring textured sounds over punching guitars. Third track ‘Gotta Get Home’ builds with intractable momentum, while ‘Shooting Star’ launches into dramatic outbursts of sound and ‘Are You Awake?’ showcases the Aussie born four-piece’s collective musical precision. 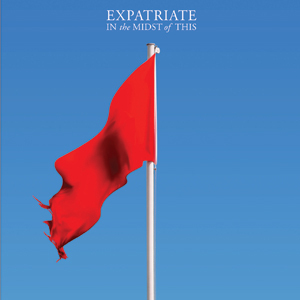 While sights are fixed firmly on English influence, Expatriate still channel similar sounds to Australia’s Birds Of Tokyo and Yves Klein Blue and this melting pot makes ‘In The Midst Of This’ an exciting debut.